It’s a crisis reminiscent of our early days in Somalia, when at the height of a brutal civil war in the 1990s, International Medical Corps worked desperately to sound the alarm about an unfolding famine that would haunt the world—once it finally woke up. Today, as Yemen enters its fourth year of civil war, graphic photos of starving children have finally begun to draw the media attention they deserve, alerting the world to dire food shortages in the Middle East’s poorest country. In 2018, we provided 330,469 consultations, 129,024 of which were for children under five. Of the more than 20,000 we treated for malnutrition, 86% were discharged as cured. We also treated 17,170 malnourished pregnant and breastfeeding women through therapeutic centers during the year. 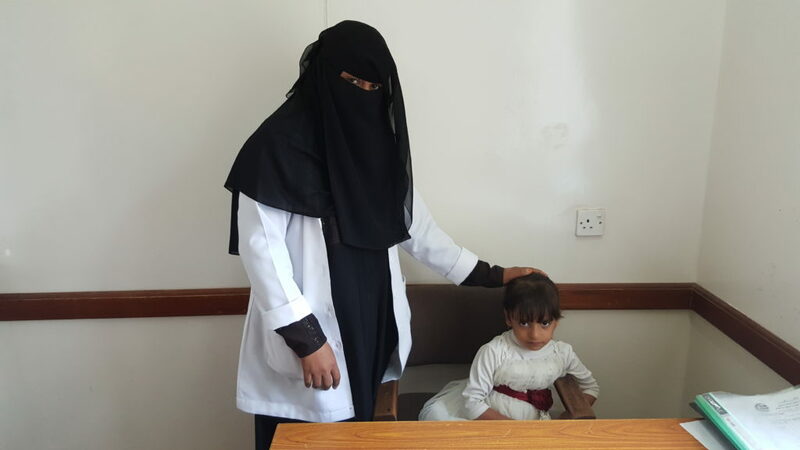 For Gameela, a Yemeni mother living in Sanhan district, things have changed “drastically” since International Medical Corps began working in her community. For each of her prior births, she could not afford to travel for regular neonatal checkups, and had to travel more than an hour to the nearest hospital to give birth. During her most recent pregnancy, after International Medical Corps had begun supporting the local hospital with trained staff and lifesaving medicine, Gameela was able to have monthly checkups and give birth to her child in the local hospital, where she and her son were looked after by our staff until going home safely. Training topics for staff include integrated management of childhood illnesses, infection prevention, reproductive health, water and sanitation, and much more. In addition, we train Community Health Volunteers (CHVs) to screen children for malnutrition in their homes, refer severe cases to our specialized nutrition services and deliver health messaging to caregivers. Our 943 trained CHVs reached 248,081 people with health education messages in 2018. Throughout our 35-year history, International Medical Corps has been one of very few global humanitarian organizations to prioritize training and education—and this emphasis remains key to sustainability. 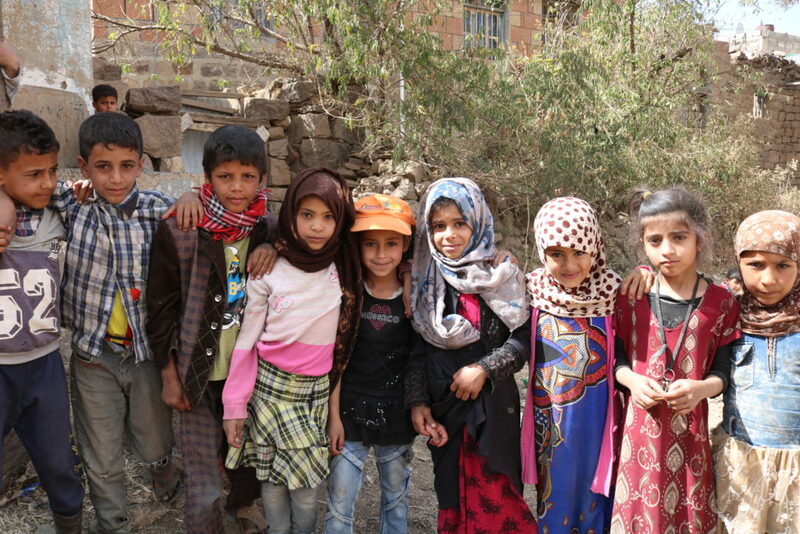 For Yaman, the prospect of peace and stability in Yemen still feels far off, as the hunger crisis continues.